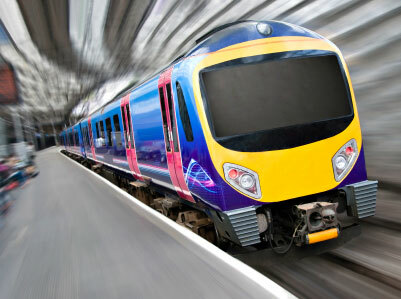 We produce a range of Nexus® products for the rail industry and regularly design new solutions for major rail and tram operators, with recent projects including bespoke pneumatic track brake adjusters and tea urn assemblies. We also support a large number of legacy rail products and retain the knowledge and expertise required to deal with any maintenance or refurbishment enquiries. We designed and supplied Gangway Curtain Adjusters to Unipart Rail for their fleet of 165 trains. The carriage end of the trains has a gangway and faceplate that butts up to another identical unit. Our curtain adjusters allow the curtain sides of the sealed walkway formed by the two adjoining gangways to adjust as the train goes around corners.